The ninth sign of the zodiac Sagittarius are known to be free spirited, energetic and positive. Luck is always smiling on these people due to the influence of Jupiter, the planet of good fortune. 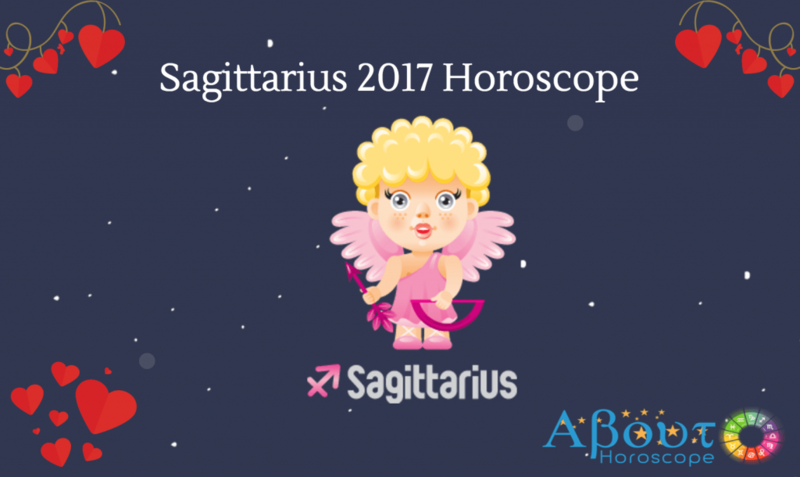 Known to be one of the risk takers of the zodiac world, Sagittarius will go where others don’t dare in pursuit of their dreams. This fire sign’s burning passion for success turned Steven Spielberg into a force to be reckoned with in Hollywood. On a lighter note…..Do you know that Sagittarius is one of the most sociable signs in the Zodiac? If your paths ever cross, it’s highly possible you can be the next bestie of Taylor Swift or even Miley Cyrus if your stars align! Read on and get to know more about of your future BFF. “A dream is a wish your heart makes.” People born under this sign are gifted with an immensely positive attitude that when they truly believe in something, there’s no stopping them. When a Sagittarius dreams, he/she dreams BIG. No one can be a better model than Walt Disney who had a dream to bring joy, inspiration and hope to the world through his cartoons and theme parks. He aimed for what was deemed impossible during his time and successfully left a magical legacy behind. Influenced by Jupiter, Sagittarians see opportunities where others see only limitations or problems. Obstacles don’t dampen their spirit; in fact it fuels them to work even harder. They never give up even when others are already egging them to end their struggle and take a different route. No one can stop these archers who aim their arrows really high because of their strong belief that dreams do come true. These Archers are not afraid of pursuing ideas in unknown territories. Sagittarians are born with a wonderful childlike quality, which goes in full swing when they want to achieve something. This sign will charge ahead with the blind faith and optimism of a child, convinced that they cannot fail. Sagittarians are inclined to come up with “out of the box” ideas and concepts that they successfully manage to come to fruition. These optimistic risk takers tend to carry out their plans with hair-raising strategies but frequently prove their doubters wrong in the end. Their innate optimism and enthusiasm gets them to where they envision themselves to be. It makes perfect sense that Taylor Swift is born under this zodiac sign. This seven-time Grammy winner built an empire out of her childhood dream. Only 25 years old, this young lady isn’t showing any sign of slowing down. These fearless dreamers are the court jesters or the class clowns of their social circle. People are immediately drawn to them because they are not the kind who would put up walls so it’s no surprise that they are known to be the most sociable among the zodiac signs. Impartial to status, these people can strike a friendship with anyone, anywhere and anytime. You’ll probably be floored by the number of social media contacts they have. Life is a continuous learning adventure. For Sagittarians, meeting new people from all walks of life and different corners of the world feed their curiosity to the brim. Stories based on these adventures will surely be shared with a touch of Sagittarian humor and wit. Make a wish and your Sagittarian friend will try to make it come true! Friends like them, genuinely want to make others feel good. People born under this sign are known to be generous, honest, funny, loyal and considerate to their friends. They are the most wonderful companions because they go by “whatever makes you happy” mindset when it comes to friends. If you get heartbroken, your friend will do what it takes to bring the smile back on your face. These mood changers will gladly paint flowers on your ex-boyfriend’s car, take you to a concert or bake you brownies. I guarantee you will not brood long with a Sagittarian friend nearby because their happiness and optimism is just contagious. You will snap out of it after spending a sweet day with your sunny friend. Sagittarians want to live life to the fullest and influence others to do the same. Not wanting to be confined by standard norms, this sign will work according to their own methods. If a Virgo can’t function without their organized schedules, it’s the opposite with this sign who wants flexibility in all areas of their lives. However, the downside to this is some people born under this sign exhibit careless and irresponsible behavior due to “live and live” mindset. Sagittarians are great thinkers and come up with brilliant ideas but seeing them through to completion is not always their greatest forte. Balance can be achieved when Archers will not insist on doing things their own way all the time and welcome just the right blend of structure in their methods. We all need a good dose of discipline in this highly competitive world. If you feel you need guidance on life and career, seek out the Sage or Counselor of the zodiac signs. Sagittarians are always on the journey to discover great things about life and to share their discoveries to the world. Archers have this innate desire to leave a lasting legacy through their name, so they seek mastery of their chosen endeavor and share with others what they’ve learned. Some people master their craft for recognition; centaurs do it so they can be qualified to teach others. The Obi-wan Kenobi of the zodiac will never hesitate to share his/her knowledge to willing students. Bruce Lee is a picture perfect example of a true Sagittarian mentor. He introduced Jeet Kune Do or The Way of Intercepting Fist into the world. He trained hard and mastered several fighting techniques; adopting those which fit his philosophy and discarding those that did not. His legacy as one of the greatest martial artists has less to do with his fighting skill than his influence on the new generation of fighters.